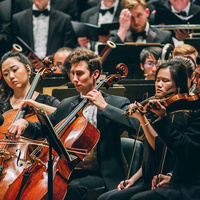 The 2017/18 Season has many exciting performances, collaborations, and projects, including performances at Lincoln Center’s Alice Tully Hall, New York City Center, Tishman Auditorium at The New School, and appearances with the Mannes Opera at the Gerald W. Lynch Theater at John Jay College. Sponsored by The New School's Mannes School of Music. Free Tickets, available at the Alice Tully box office (212.721.6500).